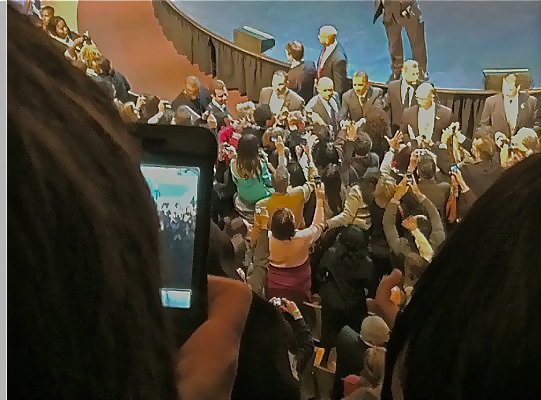 #3 From the Archives: President Obama in the House! Boy how time flies. 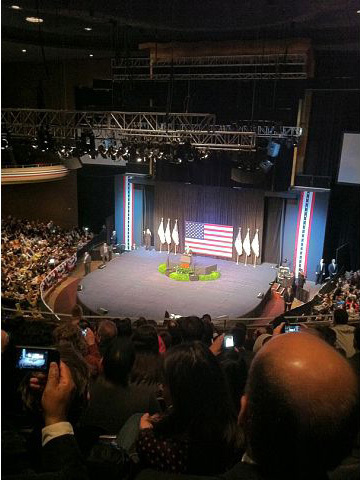 Already a month ago today that I saw President Obama at a reception at Masonic Auditorium in San Francisco. At the same reception last April 20th (2011), I volunteered with my buddies, Doreen and Nancy, working the will-call table. 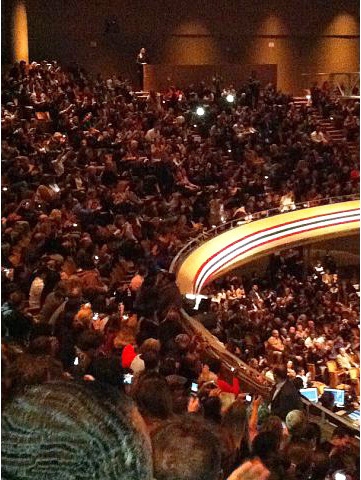 This year, I bought a ticket…and stood in that line. 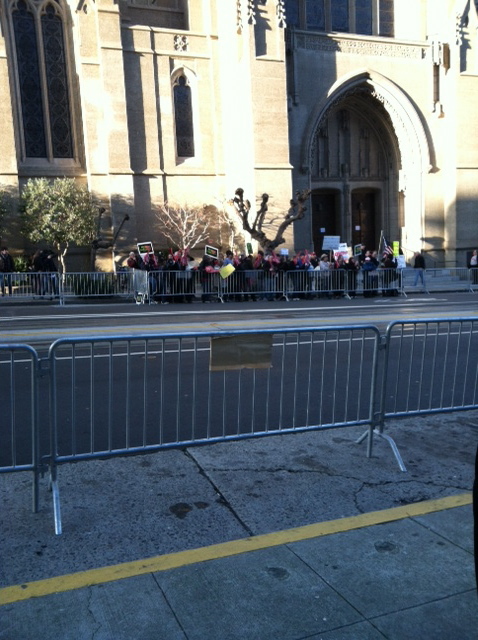 Plenty of time to make new friends…and get sick and tired of shouting protestors across the street beside Grace Cathedral. They definitely needed new writers: their chants were tired, uninspired and flat out lies. I forgot my camera (again) so I have Tura to thank for all these iPhone photos and the video footage. 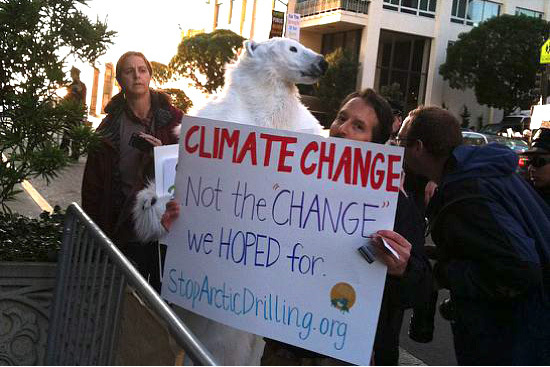 That taxidermy polar bear head (left) was just plain strange…we all had a little problem with it and told Polar Bear Man inside the suit, but he ignored us. 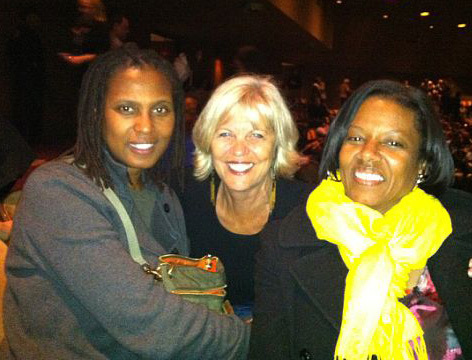 That’s Tura in the middle and Tammy on right. Can YOU find the President in this picture? My little video (top below) is bare-bones and simple and I had fun putting it together: from the heart. I’m so proud of our president.